Late night egg, bacon, hot sauce packet snack! I took this before the toast was done. Oops!! 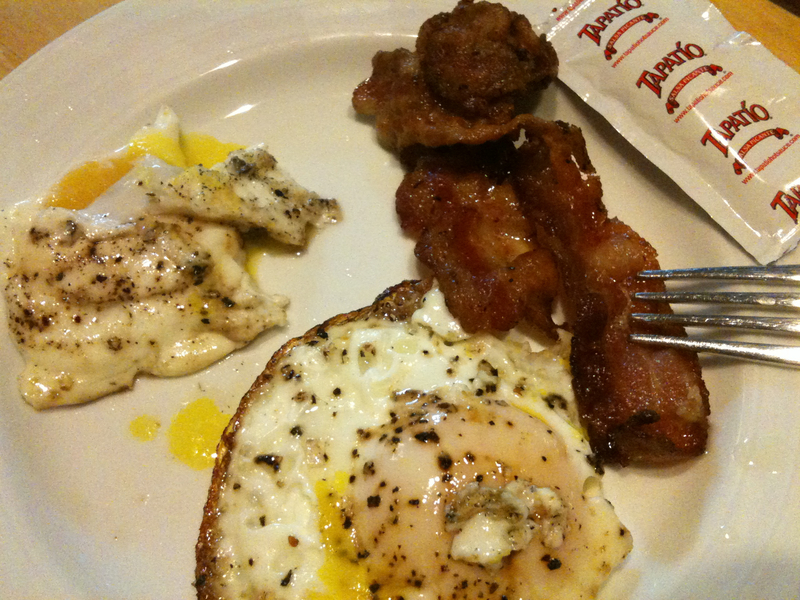 Oh those eggs..mm..I wish I knew whet to get the little tapatilo packets, that stuff is good on everything.